Ash – the friend of the furniture maker! Different woods present different characteristics that make them all unique and beautiful. It’s for this reason that we work with a variety of woods at Beveledge when handcrafting our furniture pieces in our workshop in Wexford. We use ash because of its flexibility, strength and resistance to splitting. And also for the fact that it’s pale, dense wood makes the most beautiful furniture when crafted by hand! It’s because of its strength that ash is so commonly used in tool handles, walking sticks, snooker cues, oars and of course, hurleys. An acre of ash can produce over 1,500 hurleys! 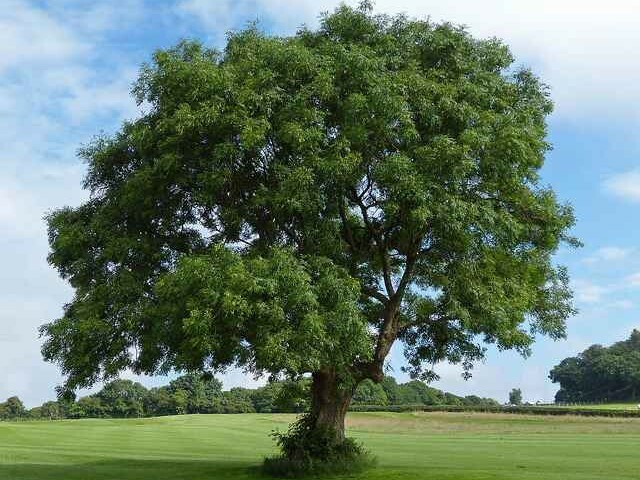 Ash is Ireland’s most common, tallest, native tree. It is a deciduous tree and after it has been cut down, it is able to re-sprout and start growing again. Unlike other trees, the strongest wood is produced when the tree grows fast. The ash was sacred to our ancestors, the Celts. They believed that the ash tree held powers of protection. Here at Beveledge, it’s pretty sacred to us too as its durable for our chopping boards, beautiful for our clocks and a striking contrast in our walnut tables! We only use ash and all our woods from sustainable sources. Some interesting ash facts. . . The tallest ash tree in Ireland currently measures 40 metres in height, and is happily growing in Clonmel, Co. Tipperary. Ash trees support 41 different insect species in Ireland. It’s deciduous, fast-growing and grows in full sun or partial shade. Over 50 years, it has an expected height of 25m and an expected spread of 20m. It has dark purple flowers in Summer and green fruit in Autumn. Frost is not the friend of ash, as it causes forking of the main stem in young trees, resulting in poor quality stem form. Birch – Sleek, Durable and Gorgeous!